All the amazing women in your life deserve a holiday, am I right? Valentine’s Day is an incredible way to celebrate with your significant other, but don’t forget about your gal pals! Galentine’s Day, taking place the day before Valentine’s Day, was famously coined by Leslie Knope of the hit television show “Parks and Recreation.” This wonderful holiday was created to appreciate and celebrate strong lady friendships. 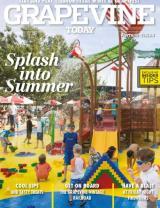 And Grapevine is full of fun ways to enjoy time and make memories with your best friends! So text your girls and get ready to celebrate Galentine’s Day 2017. 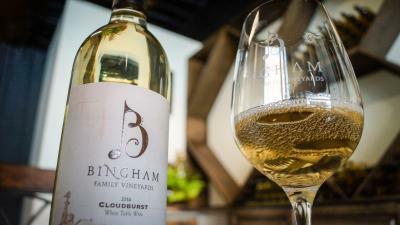 Wine not indulge along Grapevine’s Urban Wine Trail? Featuring ten winery tasting rooms, you can sip and savor some of Texas’s finest wines with great company. 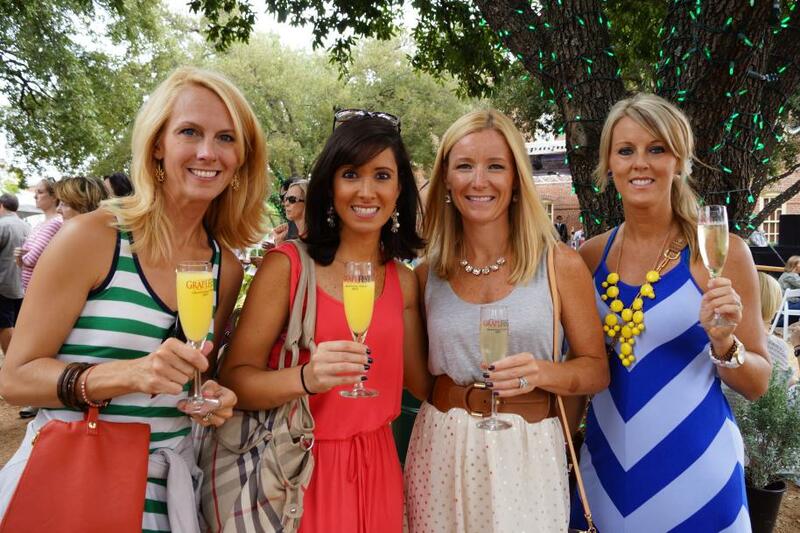 Take a wine excursion with Grapevine Wine Tours, which includes tastings at three Grapevine winery tasting rooms, lunch or dinner, a sightseeing tour through Historic Downtown Grapevine and transportation. Create your own wine with a wine blending class at Wine Fusion or Grapevine Springs Winery! You will learn how to blend 100% varietal wines to create a custom master blend, then bottle it, cork it, create your own label to take home and enjoy the fruits of your labor, literally. Have a craft brew experience at Grapevine Craft Brewery. Enjoy their taproom where you can try their crafted to perfection brews. Their beers have recently taken home awards from the Great American Beer Festival, D Magazine, Best Little Brewfest in Texas, Denver International Beer Competition, US Open Beer Championship and more! What girl’s day wouldn’t be complete with shopping? 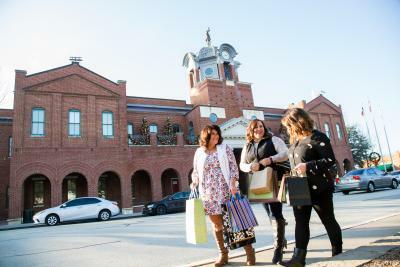 Enjoy more than 80 locally-owned boutiques, art galleries, antique and vintage stores, jewelry shops and more on Historic Main Street in Downtown Grapevine. Grapevine Mills, the 1.8 million square-foot shopper’s paradise offers well-known stores like H&M and discount outlets like Last Call by Neiman Marcus and Saks Fifth Avenue OFF 5th. For the outdoors lover, shop Bass Pro Shops Outdoor World, the largest outdoor shopping equipment store in the Southwest. Say hello to the newest treats to come to Historic Downtown Grapevine, Chocolate Moonshine Co. Offering a wide selection of delicious, hand painted chocolate bars for only 100 calories so you can try a few before moving on to their homemade fudge. Select a sweet treat at Dr. Sue’s Chocolate! As a practicing physician and chocolatier, Dr. Sue realizes the importance of good dietary choices to support healthy living. Dr. Sue believes her all-natural dark chocolate offers a richly decadent, yet more healthful confection. Enjoy delicious truffles, chocolate bark and other delicious treats! Enjoy a slice of heaven at JudyPie. All of the pies and baked goods are made from scratch daily. Popular flavors include: Pecan, Chocolate Bourbon Pecan, Maple Brown Butter Peach, Cherry, Coconut Crème and Pumpkin Pie. Buy it by the slice or get the whole pie! This is a judgement free zone. 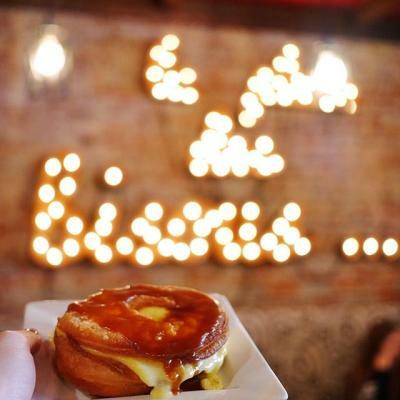 Two words: Croi-Dough-Nut Brule. Take our word for it and indulge at Main Street Bistro & Bakery. One thing is for sure, you are guaranteed to have an amazing time in Grapevine that will leave you and your friends wondering how you ever celebrated Galentine’s Day not in Grapevine. The only question is, is one Galentine’s Day enough time to celebrate and do it all?